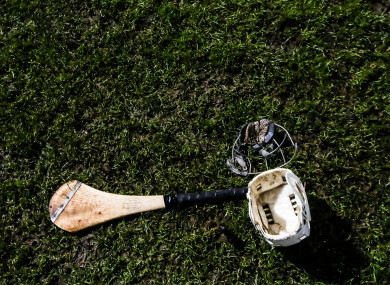 A general view of hurling. PRESENTATION COLLEGE ATHENRY have booked their place in the Croke Cup final after a three-point victory over Midelton CBS in Killmallock this afternoon. They will have the chance to dispel the ghosts of last year’s All-Ireland defeat to St. Kieran’s later this month and will go into the game full of confidence after today’s 1-12 to 2-6 win. Having trailed by a point at the halfway mark, an eventful second half – which included red cards for both Pres College’s Christy Brennan and Midleton goalscorer Ross O’Regan – they scored seven unanswered points to put the game beyond their Cork rivals. The reigning Connacht champions will now meet either CBC Cork or All-Ireland champions St Kieran’s in the final on 30 March. The second semi-final takes place this Wednesday at WIT Sports Campus. Elsewhere today, St Michael’s Enniskillen captured their first MacRory Cup since 2012 with a 0-16 to 2-6 victory over Omagh CBS. Darragh McBrien was the star this afternoon, notching seven points in Armagh, with five of those coming from play. His contributions saw St Michael’s open up an eight-point lead at the break. Daniel Fullerton’s second-half penalty gave some hope to Omagh as they went in search on an equaliser, but they couldn’t close the gap in final stages of the game. The Fermanagh school condemned Omagh to a fourth final defeat in 11 years. The Tyrone side last lifted the cup in 2007, but featured in 2009, 2010 and 2014 finals. Email “Presentation College Athenry advance to second consecutive Croke Cup final with victory over Midleton CBS”. Feedback on “Presentation College Athenry advance to second consecutive Croke Cup final with victory over Midleton CBS”.